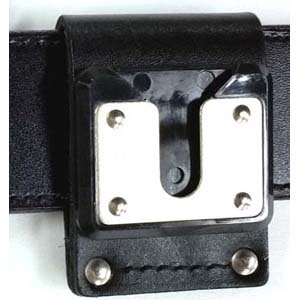 Heavy duty leather, stitched and riveted swivel belt loop designed to fit the Harris swivel stud. 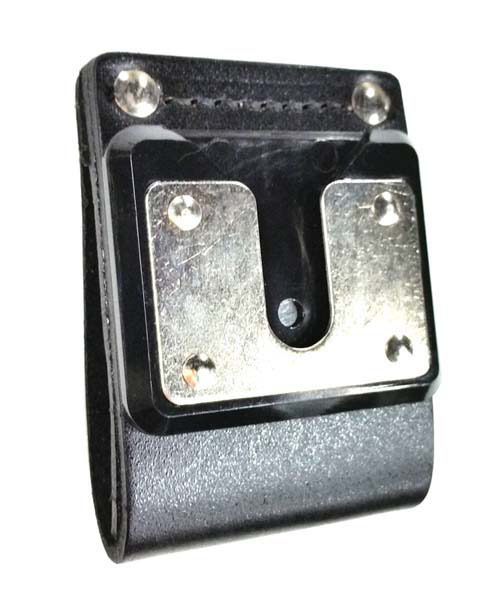 This model has a steel slotted plate with a polycarbonate spacer to attach your radio case. This model has the plate 1" higher which means that if you have a tall radio, it will carry better. 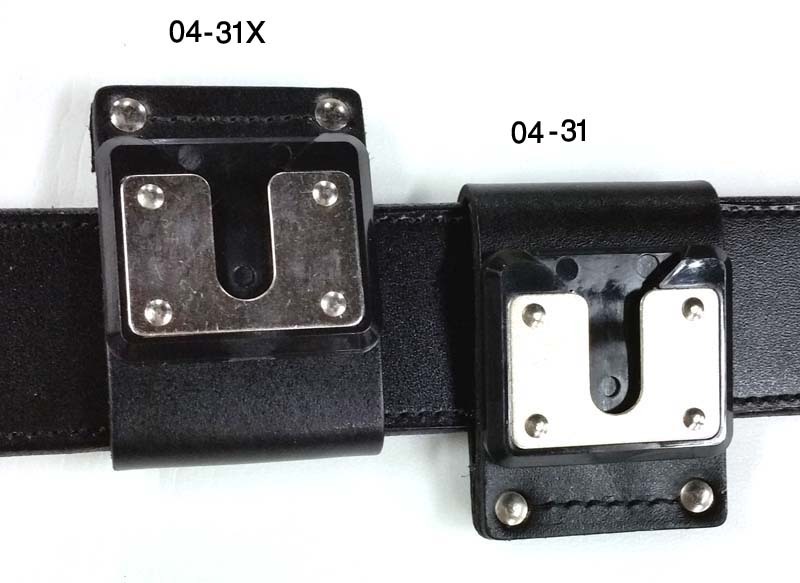 The case is inverted, the swivel stud on it is inserted into the slot, and then the case is turned upright. 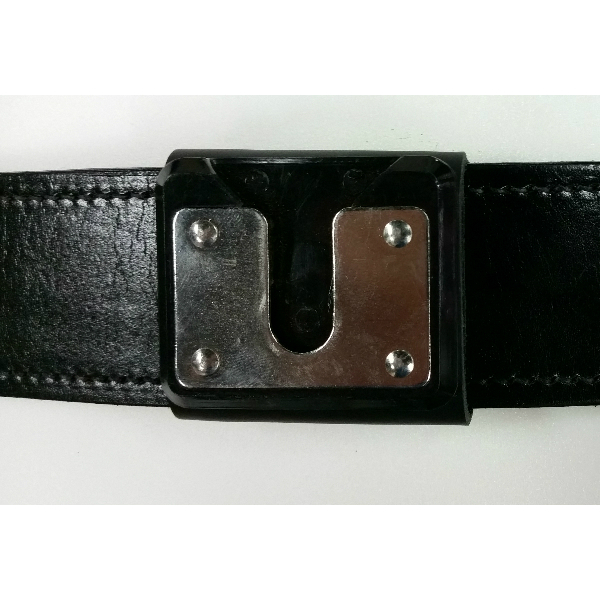 This allows it to be retained securely, but move to a comfortable position if you are seated. 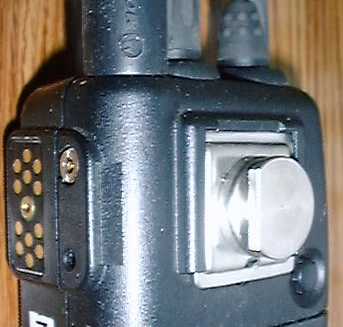 Removal of the radio is done by inverting the case and lifting it out of the slot.